Decatur, Ala. – A once-a-year, 690-mile shopping trip brings thousands and thousands of bargain hunters and treasure seekers on a trek through northeastern Alabama for the biggest yard sale shopping spree in the world. The World’s Longest Yard Sale is set for August 3-6, 2017, and along with shopping, treasure hunting, and bargaining, there is plenty of sightseeing to do along the North Alabama stretch that begins in Gadsden, Alabama and travels along the Lookout Mountain Parkway through DeKalb County and into Chattanooga, Tenn. Many shoppers begin the 690-mile, six state journey in Gadsden, taking the scenic Lookout Mountain Parkway to Chattanooga and following Highway 127 all the way north to Addison, Mich. Everything from antiques, collectibles, furniture, and dishwares to local fresh produce and homemade jams and jellies along with food vendors and live entertainment can be found. It is estimated to be more than 1,000 vendors in Alabama alone. Vendors are typically up and running by 8 a.m. and operate until late in the evening each day of the event. 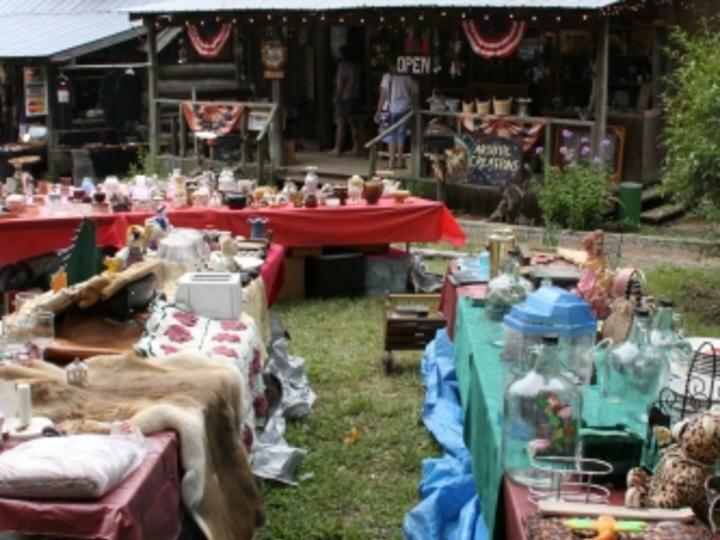 The World’s Longest Yard Sale takes visitors on a shopping excursion through some of the country’s most scenic areas. Along with four days of shopping, visitors can experience a world of nature and a variety of restaurants and lodging that is easy on the wallet. The 93-mile Lookout Mountain Parkway has been touted “A Must See” by Reader’s Digest, the National Geographic, and Southern Living magazines, providing a beautiful backdrop to the thousands of roadside sales. Shoppers are encouraged to wear comfortable shoes and sunscreen and to bring plenty of water. For lodging information, directions, road closures, and more information, visit www.ShopLookoutMountain.com or call DeKalb Tourism at 888.805.4740 or Greater Gadsden Area Tourism at 888.565.0411.